What would you do with a $1 million bonus? LPGA star Lexi Thompson picked up a sleek new set of wheels. 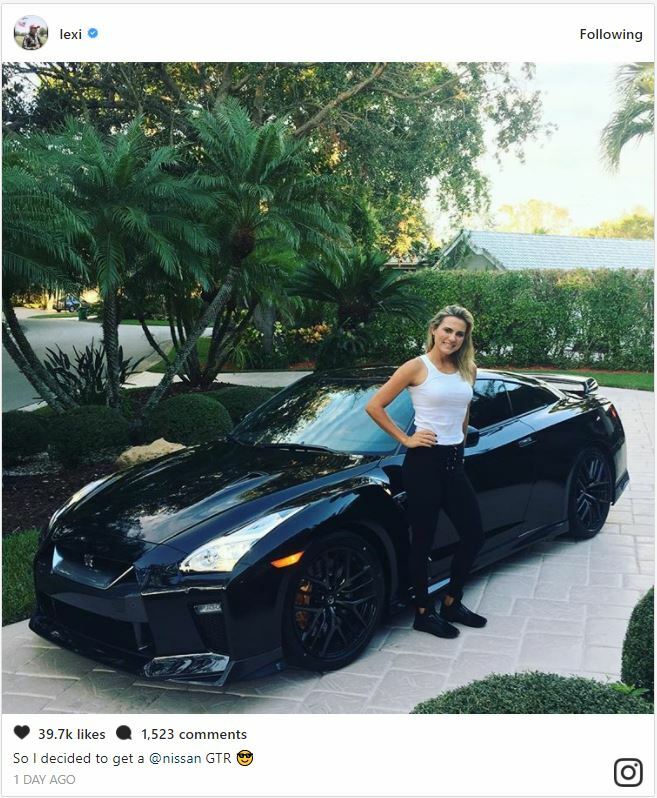 “So I decided to get a @nissan GTR,” Lexi posted on Instagram. She posed alongside the jet black sports car flashing a million-dollar smile. Thompson, 22, collected the large bonus after winning the season-long Race to CME Globe. She also won twice on the LPGA Tour during 2017 and picked up the LPGA Vare Trophy for lowest stroke average (69.114). Lexi was already considering a new car before the season-ending tournament, reported LPGA.com. A Corvette Z06 was reportedly on her list, but she instead decided on the Nissan GT-R, which has a base price of about $110,000, according to GolfDigest.com. That’s certainly affordable—if you’re Lexi Thompson. This weekend Lexi is competing alongside the men in the QBE Shootout at the Tiburón Golf Club in Naples, Florida. Her partner is PGA Tour player Tony Finau.